we care naturally. . . .
People who are interested in aromatherapy always want to know if all methods of preparation of essential oils are equally valid. Where do we get essential oils? In the production of essential oils it is important to know that part of the plant or fruit is most suitable. The essential oils come from flowers, fruits, leaves, roots, seeds and bark of plants. Lavender oil, for example, comes from a flower, patchouli oil, a sheet, and orange oil, a fruit. The oils are formed in the green parts (with chlorophyll) to grow the plant and the plant are transported to other tissues, specifically in flower buds. The exact function of an essential oil in a plant is unknown; it can be to attract insects for pollination, or to repel harmful insects, or it may simply be an intermediate metabolic product. “Enfleurage” process in which fat is used as solvent. Mashing, this is “soaking” in liquid vegetable oils. Today synthetic essential oils from natural sources or obtained by any of these four methods is usually purified by vacuum distillation. Is there a system that is the most convenient? All the methods described above are used either for perfumery, food or pharmaceutical industry (as correctors odor or flavor) or to acclimate spaces but for aromatherapy IF it is essential to employ only those obtained by distillation vapor stream or expression. Is it really important that they are obtained from flowers or green plants? Yes and a lot! When the culture is respectful of the environment, and therefore with the plant, the production of essential oils results in very energetic molecules powerful action. In addition, considering that the collection methods are respectful not to incorporate or remove anything, plants organic farming will be free from wastewater, insecticides, pesticides, heavy metals pollution in general either water, air or soil. You may also like to read another article on Natural-Lotion: Learn how to make a natural home Vaseline: Very easy! prepared products, which when applied to the body of users will adverse reactions. Is it possible the production of essential oils at home? 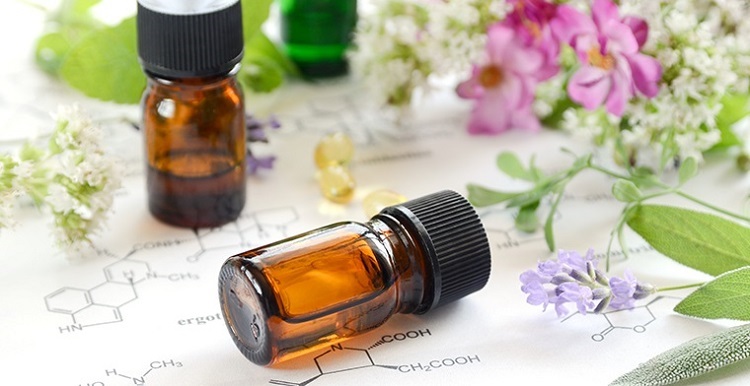 It is important to say that given the needs of these forms of production, it is difficult to obtain at home therapeutic quality essential oils and especially with commercial possibilities because the yield is very low. An example: to obtain 1 liter of essential oil of lavender (Lavandula angustifolia) are needed between 250-300 kgr of fresh plant and essential oil rose (Rosa centifolia) are needed 3 tons of rose petals. It is also necessary to have knowledge of distillation (handling pressure and temperature) to achieve extraction AE only, and that these are not “burned” by a process not care. What to do and what not to do in your intimate hygiene? Natural-Lotion.com: The Leading Natural Care Site On Net © 2019. All Rights Reserved.